Check out this video where we walk step by step through the calculation process. In this video we discuss how the WEP penalty is subtracted from your benefit amount before reductions or increases for your filing age. This changes the effective penalty to an amount that is larger, or smaller, than the well-published $448 (for 2018). Simply put, the effective penalty is the amount of reduction or increase that an individual who is subject to the WEP would receive vs. an individual who is not subject to the WEP. Hey, everyone, this is Devin Carroll. The effective amount of the Windfall Elimination Provision penalty changes with your filing age. I want to show what we mean. So let’s dive right in. First I want to take an individual whose retirement benefit is not reduced by the Windfall Elimination Provision and show you how the age based reductions or increases are calculated. Then I want to layer back in the Windfall Elimination Provision penalty and see how that changes the story here. So we know that an individual at full retirement age is entitled to 100% of their benefit amount. The Social Security Administration refers to this as the primary insurance amount or PIA, but understand that’s the same thing as your full retirement age benefit. Now, 67 is the full retirement age for those born in 1960 or later. If you were born before that your retirement age is likely a little different. However, since that’s the main audience that we’re talking to here we’re going to use 67 as the full retirement age. If you wait until 70 to file for your benefits you’re going to get 8% per year while you wait. Those are called delayed retirement credits. So that $1,000 benefit would have grown to $1,240. If you file early at 62, the earliest age of eligibility, your benefit amount would be 700, because it’s only 70% of that full retirement age benefit. Then you can see all the other ages that fill in, how they increase gradually from 62 to your full retirement age, and then they increase slowly after that as well all the way up until age 70 at which point they stop increasing and it’s time for you to file if you haven’t already. Now that’s for a normal individual. Now I want to highlight how the WEP penalty is calculated in here. 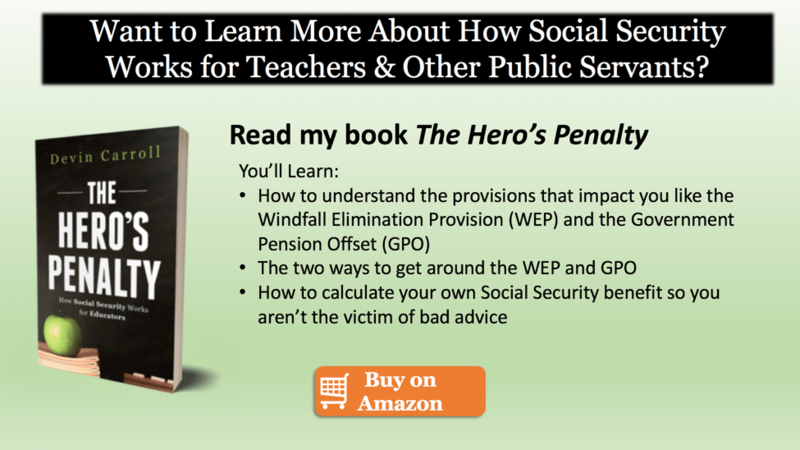 Every year the Social Security Administration announces the current Windfall Elimination Provision penalty. For 2018 that amount is $448. It’s simply subtracted from your full retirement age benefit. So if you look at your social security statement and it lists what the amount is that you can get at your full retirement age, then you can subtract that WEP penalty from that if you have a pension from non-covered earnings and don’t meet any of the other exclusions, and you know that your WEP full retirement age is $448 less. Here’s the way it would work out in this situation. They started out with 1,000, take away the WEP penalty, you end up with $552. It’s that $552 that gets increased or decreased based on filing age. So if you look at filing at age 67, again, the full retirement age, it’s exactly 100% of that WEP PIA. But if you file early it gets reduced to 70% of the 552. So it’s quite a bit lower. If you file at age 70 it’s $684. Now we can fill in the other gaps here and you can see all those different benefit amounts for an individual who had a beginning retirement amount of 1,000 minus the WEP penalty, and the WEP PIA was reduced or increased based on filing age. But here’s where this gets interesting to me. The WEP penalty is supposed to be a maximum of $448, and it is applied to everyone at that rate generally speaking. But when we look at the effective WEP penalty, and that is how much does it actually increase or decrease your benefits as compared to an individual who is not subject to that WEP penalty? So for an individual at full retirement age, it decreases benefits exactly $448. But if you look at someone who waited til 70, because those increases to that WEP PIA are based on a smaller amount it doesn’t grow as fast, and so the effective WEP penalty at that point is $556. But if they file early it’s only $314. Then you can add in all the other dates and ages there as well. So when you sit down at your local social security office and they say, “Okay, the amount your benefit is going to be reduced because of the WEP is $314 or $556.” Now you know how that’s calculated. I know there’s a lot of data presented here. There’s a lot of numbers, and that’s one of the worst things you can do when you’re doing a video, but there’s simply no way to show it other than to put the numbers on here. 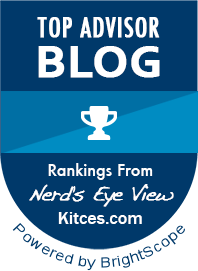 So I encourage you to watch this again if you need to, pause it, rewind it, whatever it is you need to do to fully understand how the age based reductions or increases will be applied to your benefit if you are subject to the Windfall Elimination Provision. Thanks for watching. I hope you have a fantastic day.